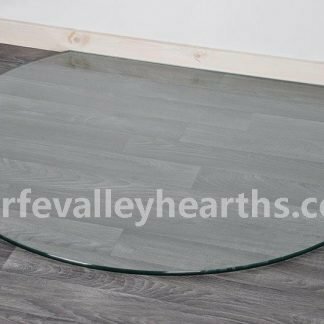 Our glass floor plates are manufactured from toughened European glass, sourced to ensure the highest standards of quality. 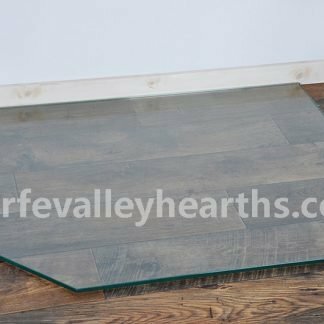 They are available in clear, black or smoked (tinted) options, however, we even provide a painting service if you have another colour you would like. Simply let us know your RAL colour code to process your order by filling in this form on each product page. 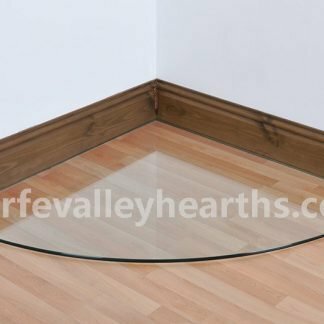 If you require a custom size, opt for our bespoke cutting service in sizes up to a maximum of 1000mm x 1150mm. 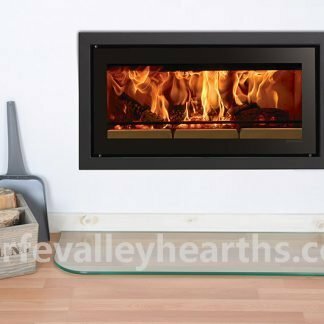 Our Hearths are perfectly suited for all kinds of free-standing stoves including multifuel, wood burning, electric and gas stoves. 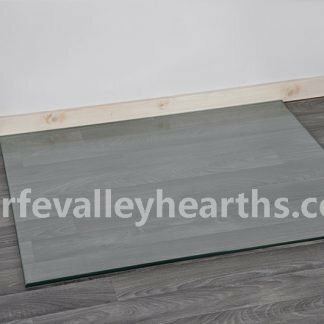 If your stove heats to less than 100°C, a 12mm glass floor plate is all you need to meet the safety regulations. 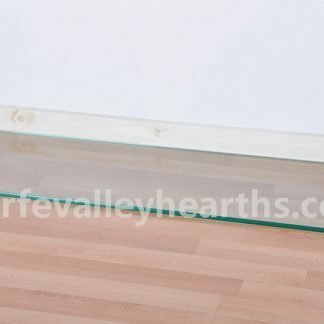 Glass is a wonderful material and will flawlessly protect your combustible floor covering. 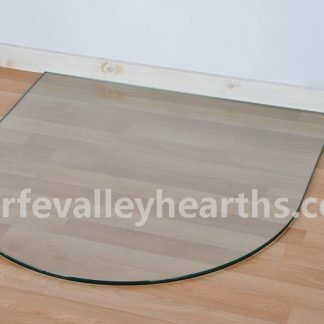 Glass is non-combustible. 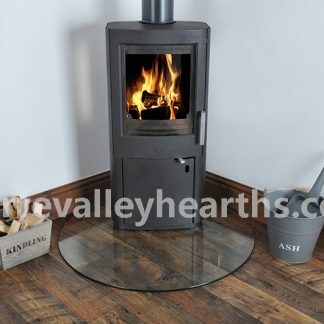 This means that it will protect your floor against the heat your stove produces. 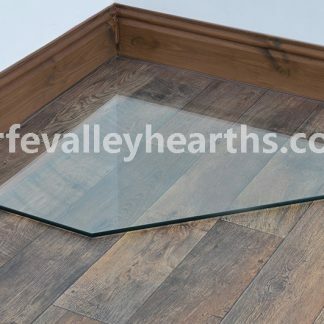 In fact, glass floor plates will provide protection against any deposits, ash or embers flying from your stove. 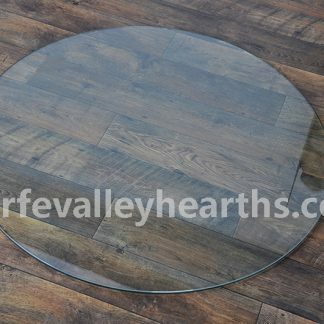 Glass looks beautiful over any floor cover. 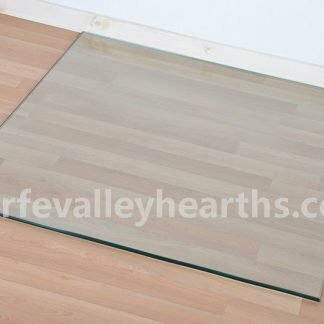 Moreover, clear glass floor plates will protect your floor while showing off the beauty off your exquisite floor. 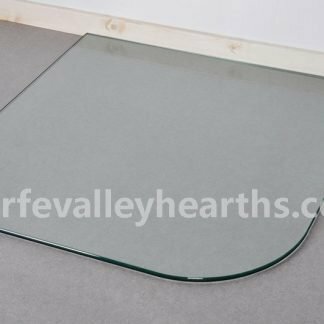 Whether you want to place your stove in the corner of the room, in the center of the room or inside a wall, these glass floor pads are available in a variety of designs.